Chester Rod and Gun Club is now offering Steel Challenge events which are open to all members and the general public. The Steel Challenge is a speed shooting competition governed by the Steel Challenge Shooting Association (SCSA) that consists of eight standardized stages with steel targets, ranging in size from 10″ (25 cm) round plates to 18×24″ (45×60 cm) rectangular plates. Competitors are scored solely by the time it takes them to complete each stage, and the match winner is the competitor with the lowest overall time. There are 5 stages with 5 steel targets on each. Shooters get five strings on each stage. Each competitor shoots each stage five times, with their slowest run dropped. The counting times are totaled for their stage score, and the five stage scores are added together to establish the competitor’s match score. For each string, one hit per target is required, with an unlimited number of rounds. The last target to be shot is known as the “stop plate”, which stops the timer. All primary target hits made after the stop plate has been struck, will be scored with a 3 second penalty each. The maximum time permitted for a run is 30 seconds and a competitor will be stopped and asked to reload if they reach the 30 second limit. Since we usually run 5 stages, you will need at least 125 rounds (150-200 is better), and up to 5 magazines if possible. Please arrive at the match with your firearm unloaded and in a case. Match registration opens at 8:30AM and the match will begin around 9:00AM. Pre-registration is mandatory and available on Practiscore for 2 weeks prior to a match. Match fees are currently $15 for members, and $20 for non-members. At this time, participants may only sign up for one division. Subscribe to the Action Shooting mailing list. 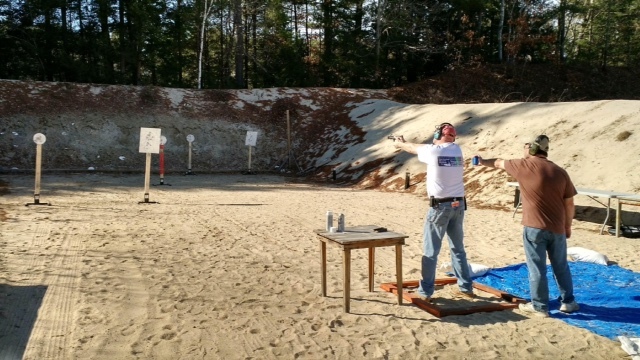 Ranges reserved for match set-up: Action Shooting Ranges, Pin Shoot Range. Steel Challenge Match, open to the public. Registration will be on practiscore.com. Two AS pits, Pins pit, Plate Rack Range, Pistol Range, Rifle Range reserved for the duration of the match.